Pity the poor 1 per cent. Abused in that sliver of press they don’t own, condemned in the streets by a rabble who don’t appreciate the benefits of being trickled down upon, and raked over the coals by the few politicians who aren’t lined up to kiss their wealth and power. Talk about an oppressed minority! 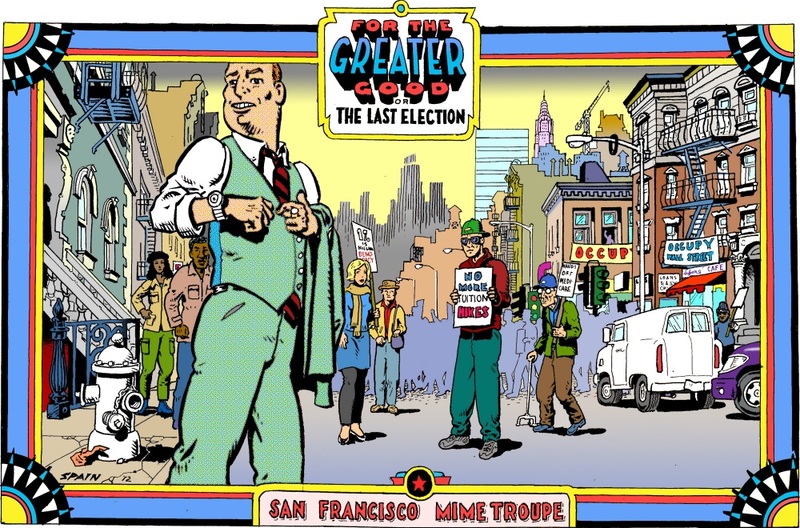 Finally, someone is stepping up to tell the story of these steaming sacks of benevolence as the (San Francisco) SF Mime Troupe presents For the Greater Good, or The Last Election, a tale that will warm the heart of every billionaire. Based on the classic 19th century melodrama The Poor of New York, the Troupe turns the story on its head, telling it from the point of view of the misunderstood Godzillionaires who have made this country what it is today: broke. The show will play all over the Bay Area and elsewhere through the summer. See the complete schedule here. In Davis, it will play in the Community Park, Sat, Sep 8th @ 7:00 PM (Music 6:30), East 14th & F St., Davis (map). In Sacramento, it will play in Southside Park, Sun, Sep 9th @ 4:00 PM (Music 3:30), 6th & T St., Sacramento (map). Michael Gene Sullivan directs Velina Brown, Ed Holmes, Lisa Hori-Garcia, Keiko Shimosato Carreiro, Victor Toman and Reggie D. White in this musical satire about “true” American values. Written by Michael Gene Sullivan, with additional dialogue by SFMT, music, lyrics, and musical direction by Pat Moran. The San Francisco Mime Troupe does not do pantomime. When they say “mime,” they mean it in the ancient sense: to mimic. This group of satirists have been making people laugh at the absurdities of contemporary life for 53 years, while at the same time helping people to see the causes of these absurdities. The Troupe travels the country and the world with a message of solidarity, comedy and the plight of the worker in an increasingly corporatized democracy. 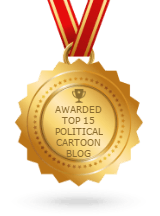 They have done shows about some of the most of the burning issues of our time — normally debunking the official story. They perform most shows free (asking for donations at the end of the show) in public parks, for tens of thousands of people every summer.